Farage has decided that if he can’t beat them, he’ll join them. You have lost your country, Farage. If you lost your will to fight, move over and let Tommy Robinson take charge. Never. That “Muslim majority with Western values” will always stand with their Muslim brothers, not with kafir politicians like Farage. A Muslim activist fanatic who hit a police officer with his walking stick at a Tommy Robinson rally in Hyde Park has escaped with a suspended sentence. 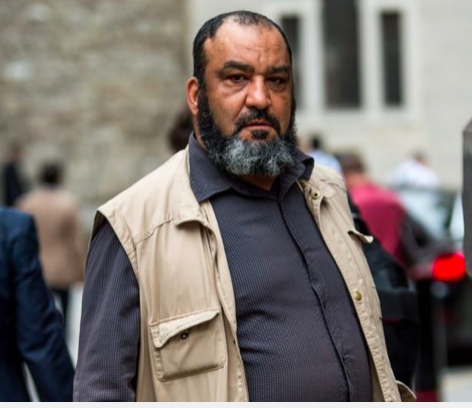 Omar Mohamad, 62, scuffled with Sergeant Guy Rooney and left him with a severely bruised face at a counter protest in Hyde Park in March 2018. The officer suffered from post traumatic stress and his injury was so bad his children refused to walk to school with him. ‘Given your poor health and your previous good character it will be a suspended sentence,’ the judge added. Defending, Sarah Robinson, told the court how Mohamad suffers from multiple illnesses that require a walking stick, and explained he is currently living in sheltered accommodation. Mohammedans are a protected class in England. Above the law. Does your heart bleed already for the poor sod? 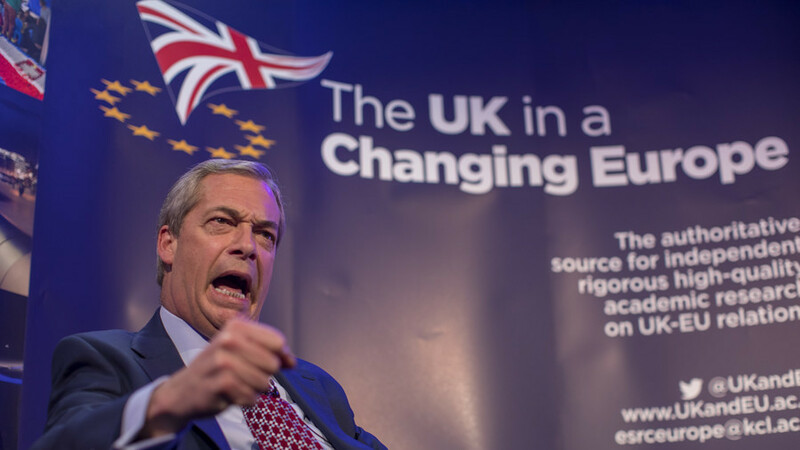 Former UKIP leader Nigel Farage has questioned the ‘judgement’ of his successor Gerard Batten over his support for the imprisoned ex-EDL leader Tommy Robinson, who was recently convicted for contempt of court. 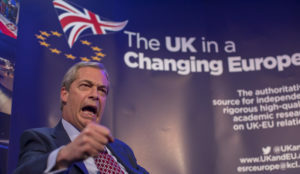 Farage, who was speaking at a dinner for UKIP activists in Lancashire this month, did not openly criticize Batten, but told the assembled faithful that being seen as opposing all Muslims and supporting Robinson was a political mistake, reports the Guardian. Batten posted a picture on Twitter of himself with Robinson, on Saturday, declaring he was to speak at the ‘Free Tommy Robinson’ rally, which was marred by violence from a set of protesters against the police. Batten seems to also be in hot water with many UKIP senior officials over his position on Islam. It is understood that one senior party member has written to him to express their concern about his alleged anti-Islam stance. But it’s Batten’s relationship with Robinson that has caused unease with UKIPers, according to a life-long senior UKIP figure, speaking anonymously to the Guardian. 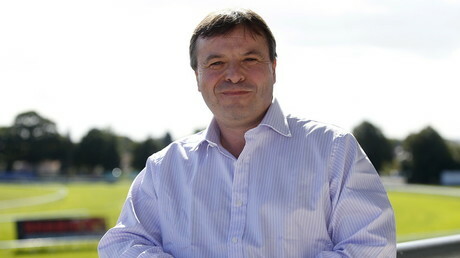 Batten took over as UKIP leader on an initial one-year basis in February, replacing Henry Bolton, who was removed following controversy over his girlfriend’s racist messages. Now, the prior degradation of the infidels in this world before the life to come—where it is their lot—is considered an act of piety; and the imposition of their poll tax [jizya], “until they pay the tribute out of hand and have been humbled” (Koran 9:29) is a divinely ordained obligation….The dhimmi’s payment of his dues by a bill drawn on a Muslim, or by delegating a real believer to pay it in his name will not be tolerated. It must be exacted from him directly in order to vilify and humiliate him, so that Islam and its people may be exalted and the race of infidels brought low. The jizya is to be imposed on all of them in full, without exception. Sorry Nigel, but I’m afraid you’ve lost the plot. There is NO WAY that islamiics will integrate, If you really believe that, you’re living in cloud cuckoo land. They are already taking over our once fair country, getting voted into places of authority, such as members of town and city councils and becoming mayors. They get there by having overwhelming numbers of muslims in those towns and cities, NOT by their ability or acumen: just by numbers. They will continue to out populate the indigenous population by being allowed to live by their own perverse laws, and NOT by the accepted laws of the land, which they actually consider beneath them. We already have ‘No Go’ areas, where humans are frowned upon, people can’t go for a quiet drink without someone objecting and causing a riot. We still have grooming gangs, destroying the innocence of children and getting away with it, whilst those who object are incarcerated, ‘Just In Case They Embarrass The Local Muslims!’ Islamic and ISIS flags are being flown – and allowed – while The UNION FLAG is considered racist. Racist to whom? This has been stated so often, but must be reiterated: muslims and islam are not races, and should not be treated as such. We have an idiot muslim mayor of London, presiding over a city under fire. Stabbings, killings, acid attacks, etc., have become a daily occurrence, yet out pathetic government are apologists for the criminals committing these crimes and blinded to the obvious. The only way this country will get itself out of the quagmire that is slowly closing over our heads, is to STOP immigration, CLOSE our borders, and SHIP OUT every known terrorist or terrorist sympathiser. Don’t try to justify them. They are NOT nice people: they are, like it or not, admit it or not, invaders; and we seem to be handing them our country on a plate.